Explore the traditions of the South Pacific. 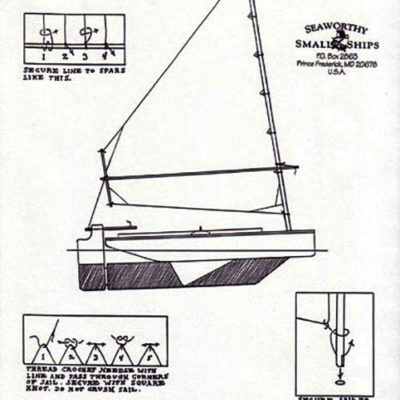 Here are plans for those who desire to obtain their own materials. 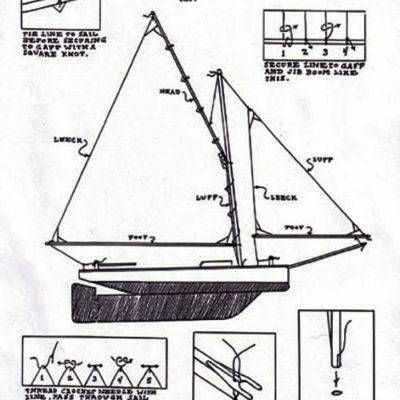 Full size patterns and plans include written instructions for the 16″ trimaran sailboat Fiji. 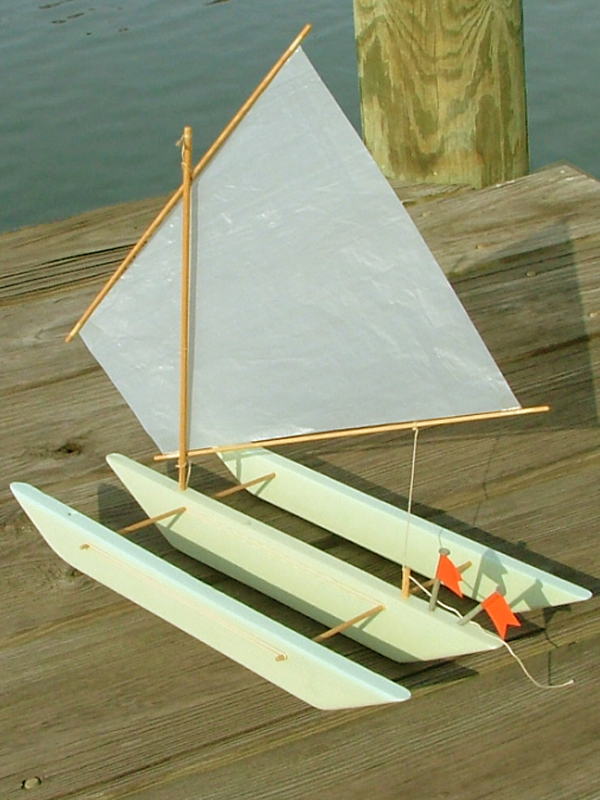 This unique model uses Styrofoam insulation board (balsa optional). One 4′ X 8′ sheet makes 50 models. 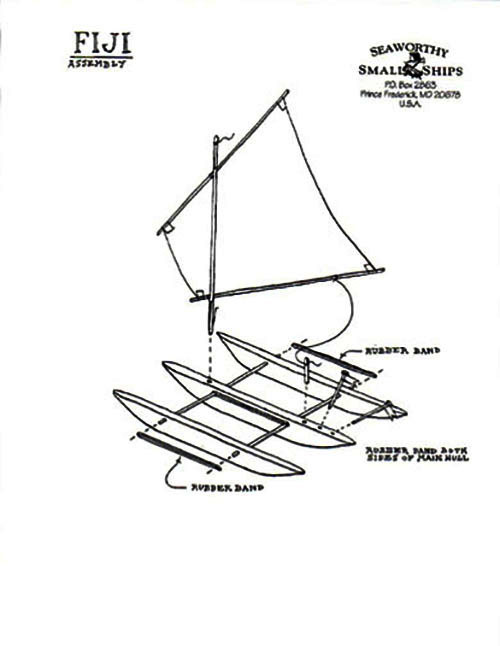 Solid hull design uses common building materials. No glue needed! A must for the beginning scratch builder and a quick rewarding build for the experienced builder.